Hello there! 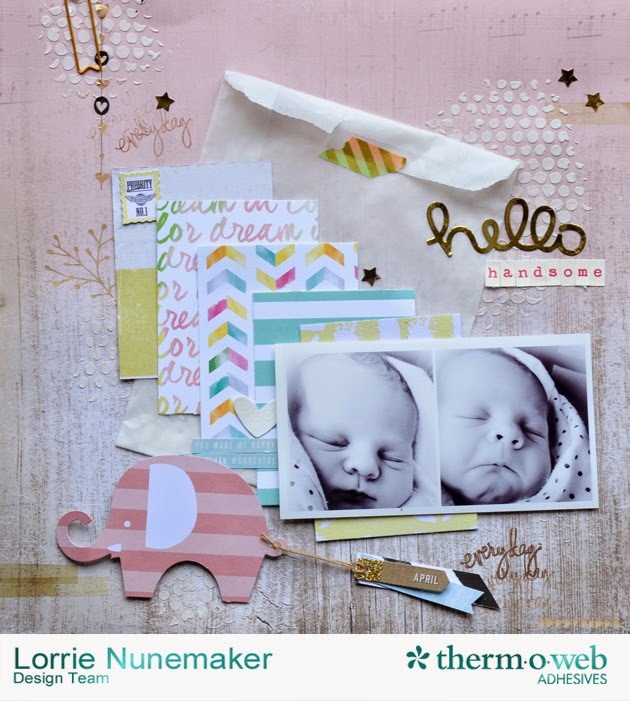 I'm up on the Thermoweb blog today with this fun layout featuring Paper Issues Monthly Kit. I LOVE this kit! It's filled with so many soft and fun prints and the flip side of the papers and embellishments are bright and bold. I had a hard time choosing which style I wanted to go with. 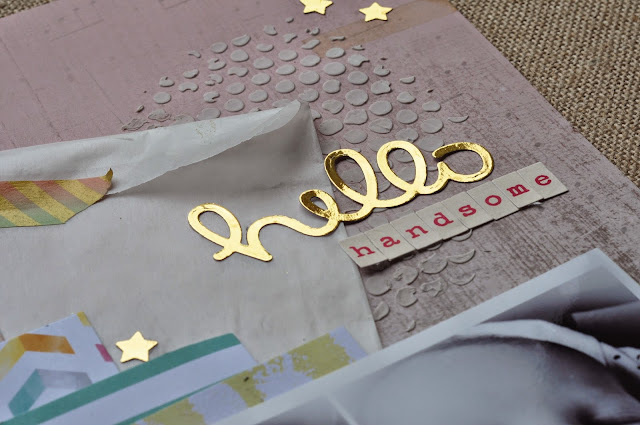 I used Icraft Deco Foils and toner sheet to create this fun Hello foiled title. Simply run a wafer thin die on a toner sheet (see video below), add foil and run through a laminator. I also cut some stars from the toner sheet and using the same laminator method foiled those as well. 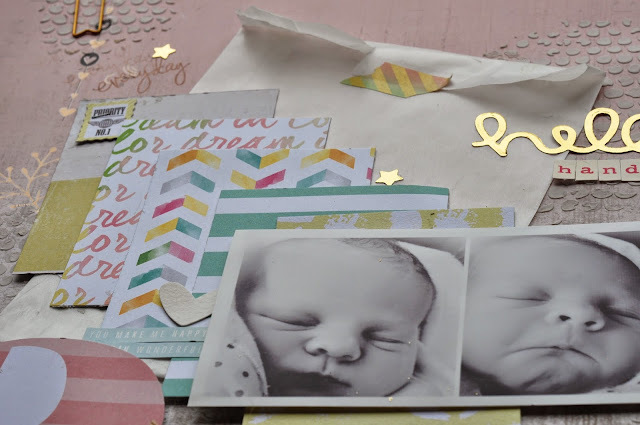 I added lots of layers using Zots Glue Adhesive and Foam Squares by Thermoweb.